Irvine, Calif. – R.D. Olson Construction is announcing new activity on numerous projects in Los Angeles, Orange and Riverside Counties, continuing its leadership in the California hotel construction industry. Increased activity in 2014 includes the addition of over 1,120 hotel rooms statewide and marks continued growth in the hotel industry for the Irvine, Calif.-based general contractor. Current and new projects include a range of both ground-up construction and renovation work. “We are excited about our current and upcoming hotel projects and the growth that our company and Southern California have seen in the market,” said Bob Olson, founder and chief executive officer of R.D. Olson Construction. With the construction of several hotel projects already underway, R.D. Olson also has numerous ventures planned for 2014, including five ground-up hotel construction projects and three hotel renovations. R.D. Olson Construction is underway on the construction of the Courtyard by Marriott Irvine Spectrum in Irvine, Calif. The project features a host of above-standard amenities for the Courtyard concept, and is located within a short walk to the abundant retail amenities available at Irvine Spectrum. 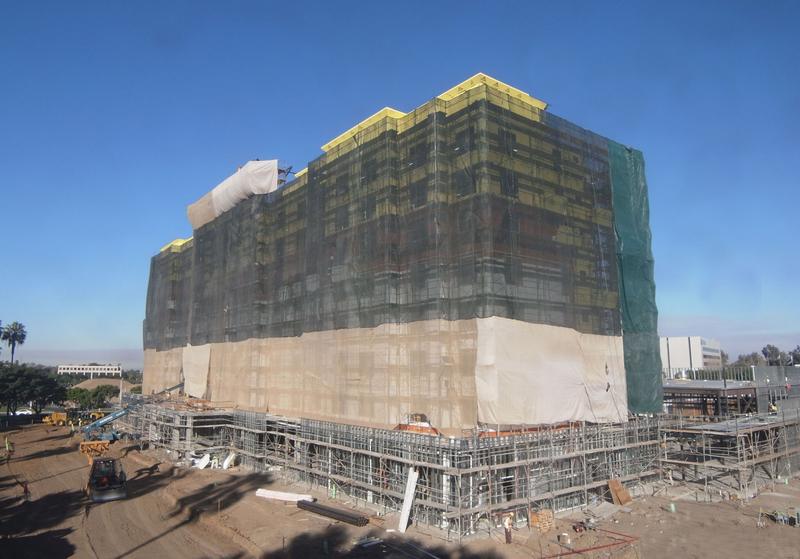 Enlisted by Irvine Center SPE, LLC the 210-room hotel is slated for completion by July 2014. San Diego-based Win Time Hotels enlisted R.D. Olson Construction to construct the Courtyard by Marriott in San Jose, Calif. The 157-room hotel is scheduled to be completed in January 2014. R.D. Olson is currently constructing 32-timeshare villas in Palm Desert, Calif. The one- and two-bedroom villas feature full kitchens and dining areas. Construction is scheduled to be completed in late 2014. 549 San Fernando SPE, LLC engaged R.D. Olson to construct the new, 170-room SpringHill Suites by Marriott in Burbank, Calif. Construction is set to begin during the first quarter of 2014. R.D. Olson will begin construction on a ground up 220-room Courtyard by Marriott in Anaheim, Calif. in March 2014. Pasadena at Fair Oaks Real Estate, LLC, has engaged R.D. Olson Construction to build a 144-room Marriott Residence Inn, located in the heart of historic Old Town in Pasadena, Calif.
R.D. Olson Construction is working with Vista Investments to construct a new Hampton Inn in Glendale, Calif. The 94-room project is set to begin in spring of 2014. R.D. Olson starts construction in March 2014 on a $45 million luxury hotel project, The Bicycle Casino Hotel in Bell Gardens, Calif. The 100-room, seven-story, 117,907-square-foot hotel will feature more than 15,000 square feet of meeting and event space, a bakery/cafe, restaurant, penthouse nightclub, roof-top open air gaming area, health spa, fitness center and a second floor elevated swimming pool with cabanas. Los Angeles-based Channel West Group selected R.D. Olson to convert the 283-room Courtyard by Marriott in Marina del Rey, Calif. to a Doubletree by Hilton, a project currently under renovation. The project includes renovations to the exterior facade, lobby, restaurant, pool deck, guestrooms and suites. The hotel will remain open throughout construction. R.D. Olson Construction was chosen by new owners, Hazen’s Real Estate Group, to refresh the Sheraton Gateway Los Angeles Hotel at Los Angeles International Airport. Plans call for the renovation of 804 guest room suites, as well as the lobby and dining areas; and will require R. D. Olson to work around various functions while the hotel remains open. Additional work near Los Angeles International Airport includes the conversion of a 12-story office building into a 231-room Marriott Residence Inn. R.D. Olson expects to begin work in March 2014. R.D. Olson’s upcoming hotel renovation work also includes a project at The Anza Hotel, located in Calabasas, Calif. The project is expected to be completed in early 2014. “Hotel construction and renovation are the strongholds of our business. We are looking forward to bringing our expertise and experience to new projects as the hospitality sector continues to expand in 2014,” said Olson.